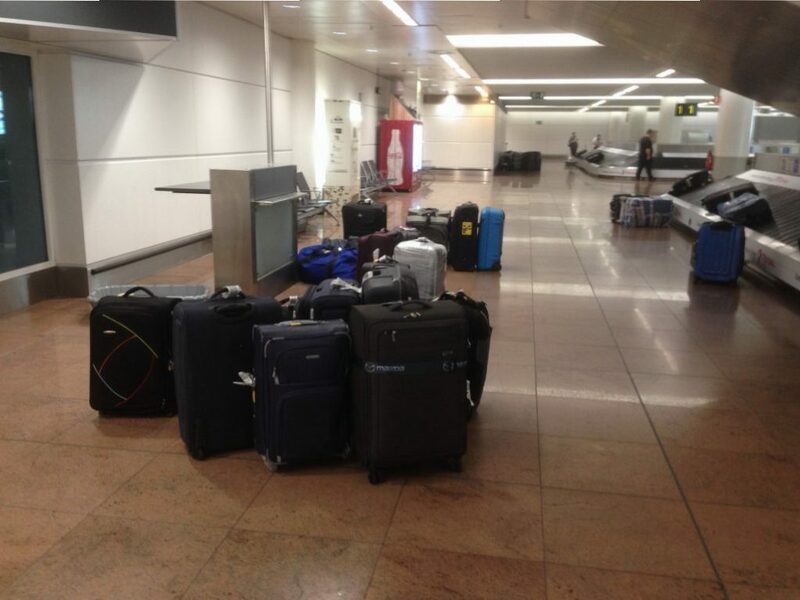 Ten days ago, a Swissport baggage handler strike broke out at Brussels airport. Thousands of pieces of luggage were left stranded at the airport; around 220 flights and 25,000 passengers got affected by the strike. Anthony and Steve are two passengers that travelled through the airport on 22 August. They wrote the following stories on our website. Yesterday Anthony was still waiting for his luggage. I flew into Brussels on SN2184 from Manchester UK on Tuesday 22 August. We knew immediately, on landing, there were problems because no steps were brought to the plane. Slowly, after the pilot made an announcement, it began to dawn on all passengers on board we were trapped, held hostage and held to ransom by Swissport who refused to allow passengers off the plane by not fetching the steps to the aircraft. Eventually after a long delay some steps were found and we were allowed to exit the plane. Already many passengers with transfer flights were in a panic. A bad situation was to become much worse. I found chaos in baggage retrieval. Ten flights showed as “baggage delayed ” on carousel 2 alone, with all other baggage carousels showing similar. Frantic passengers, many with small children, some elderly, some disabled, cynically denied access to essential supplies, not allowed in the aircraft cabin, from their bags by Swissport. After two hours without news or updates other than a comment on carousel display screen that “bags are delayed” maintenance staff delivered pallets of bottles of water for weary passengers. At this time, as far as I am aware, no representatives from any airline were available to give advice or assist the passengers trapped in the baggage carousel hall area. After three hours delay anyone with a semblance of a uniform, be it cleaners, luggage trolley staff or the poor guys who kindly delivered pallets of water, were surrounded by confused and angry passengers. I had a connecting flight to Sharm el Sheikh at 13:00 so reluctantly left the baggage area to seek advice in the main terminal. Outside the chaos of the baggage hall there was no signs of any issues in the airport. 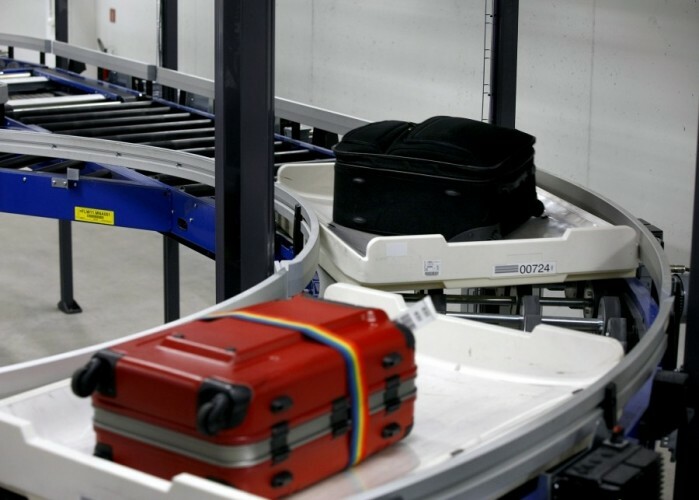 All was calm and normal with no indication that thousands of passengers and tens of thousands of bags were withheld by the Swissport strike. Tragically (I later found out) thousands of passengers, at check in, were still “feeding” the baggage conveyor belts with thousands more items of luggage that were literally going nowhere ! Passengers never given the chance nor the opportunity to get items from their hold luggage for what would turn out to be essential items for holidays, business trips, weddings even funerals. One online complaint read that a passenger with a large, but legally sized, cabin bag containing essential, expensive equipment for an important business trip was politely asked to put his bag in the hold, free of any charge, to make more room in the cabin for other passengers. The poor guy gave up his bag and it has not been seen since ! My wife had her own compounded issue, her bag was “found” after a week but sent to Sharm airport with no confirmation it had been sent and unbelievably no documentation with it. After our daily emails to every dept. of Brussels airlines we were informed ” your bag is in Sharm airport. ” However with no documentation sent from Brussels with the bag, Egyptian customs refused to give the bag to my wife when she went to collect it. Even with a matching luggage tag they said, without paperwork from Brussels, you cannot have the bag. Only a chance photograph we found on my phone showing my wife walking in an airport with the bag persuaded customs to release her bag. “Force Majeure” is almost gleefully quoted whenever a passenger asks for financial assistance in these strikes. I agree that the airlines shouldn’t be liable for unforeseen circumstances, HOWEVER, Swissport strikes are not uncommon, nor are they, in reality, unforeseen. In fact, research proves these “Swissport strikes” are well-known events that happen very very often! Therefore “Force Majeure” should not be an excuse for shameful abandonment (by the airlines) of innocent passengers caught up in repetitive, cruel and cynical strike action by Swissport. Brussels Airlines happily checked our bags in for a through flight from Bristol to New York with a transfer at Brussels on 22nd August. No mention was made of a baggage strike. On arrival at New York the pilot made an announcement that ‘a few bags’ from Brussels may have not been put on the flight! On arrival in the baggage hall it quickly became apparent that NO bags from Brussels were on the flight. Brussels Airlines left a single Customer Service representative to deal with list luggage reports from at least 50 people! When we finally got to report our bags lost we were simply told that we would be emailed a reference number that evening and our baggage would be on the next flight. The email was never sent and that evening on contacting Brussels Airlines via Social Media I was told to report it via their website and was given a wholly erroneous reference that assumed my flight had terminated in Brussels. You would have thought they may have known where they flew me too. After further inconvenience I finally received a valid reference number from the baggage handling office – this was the first and last time they bothered to pick their phone up. After the best part of 4 days with absolutely no proactive communication from Brussels Airlines our luggage finally turned up at our hotel – 4 days into a 5 day trip. I contacted their Customer Service two or three times every day only to be told they would give me no information. Indeed the only information they offered was that there would be no compensation as they view this as force majeure – a decision I will dispute legally if necessary. The fastest response I received from them was that they would not offer an upgrade for the return trip! Since returning I have formally complained to “Customer Relations” and received a response that did not answer any of the questions as posed and refused compensation. I also wrote directly to the CEO and did not even receive an acknowledgement. Whilst I understand that a strike happened, the lack of any information or compensation from Brussels Airlines and their complete lack of interest in any Customer Service has completely destroyed any credibility this organisation may have had. I would suggest checking out Brussels Airlines FB page if you doubt me.